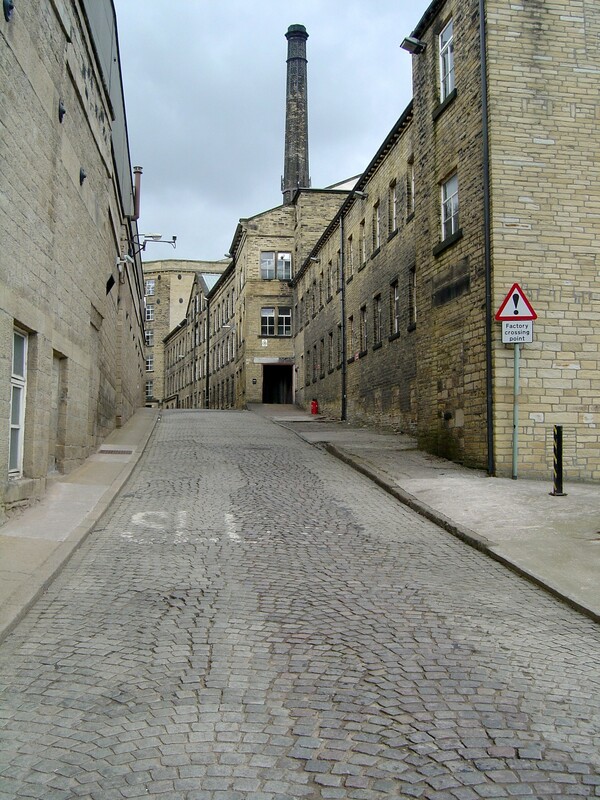 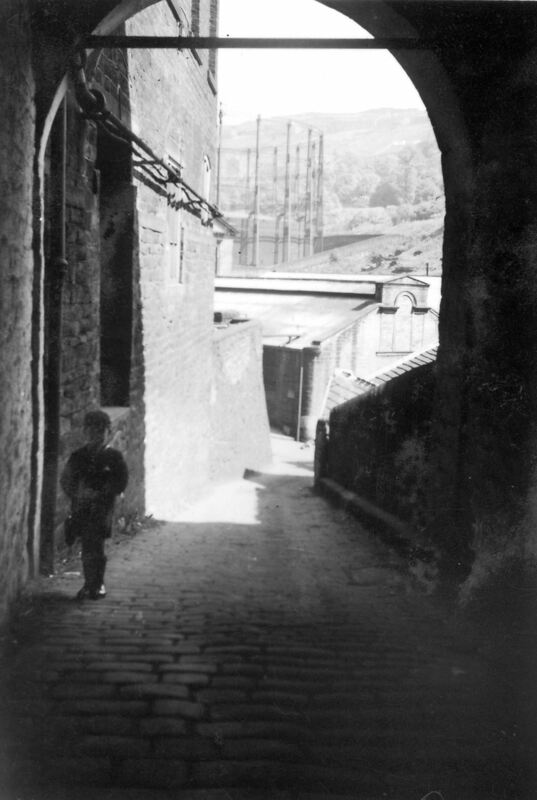 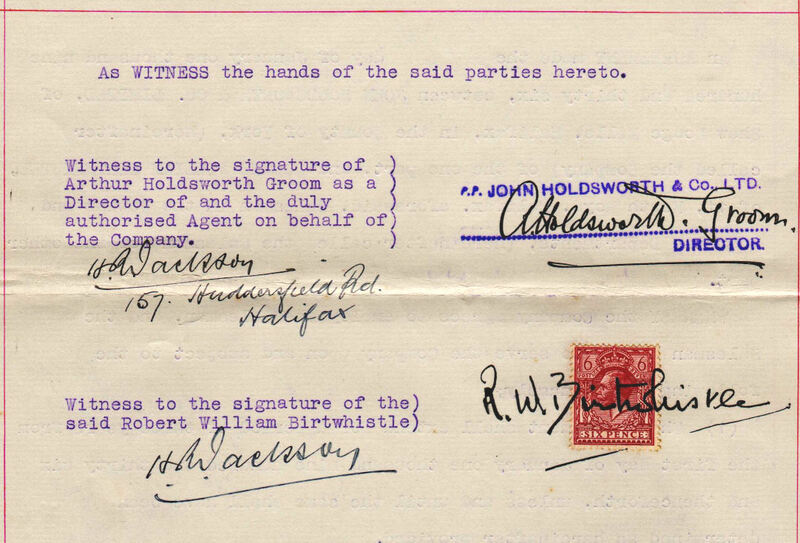 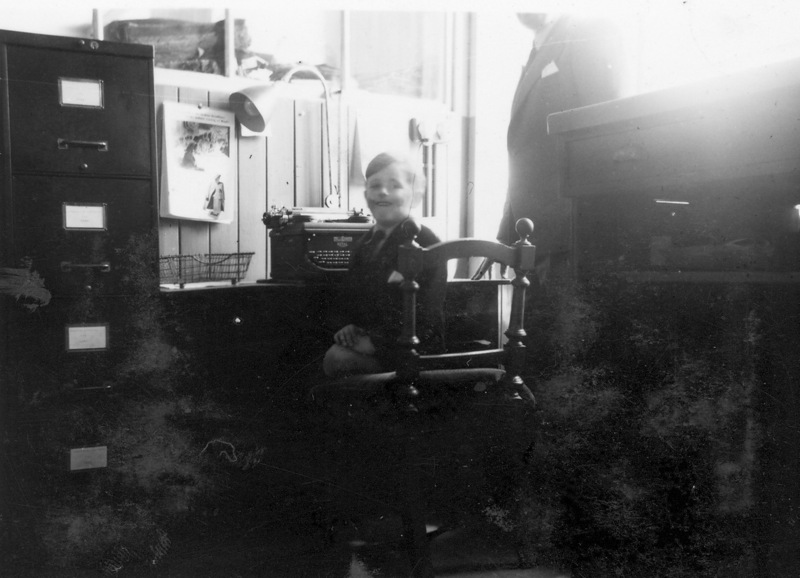 Robert W Birtwhistle, born Halifax UK on 8 January 1900, married to Lily Noble, born Halifax UK on 26 February 1900. 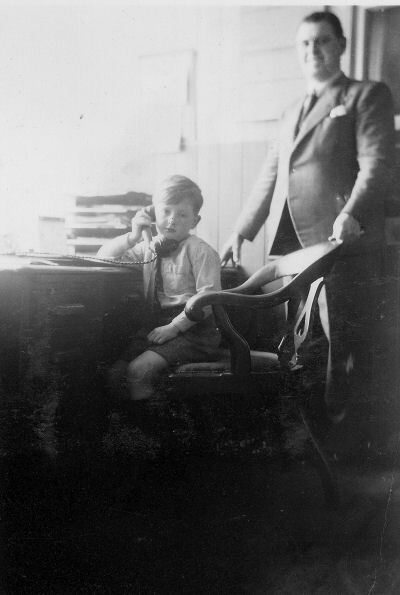 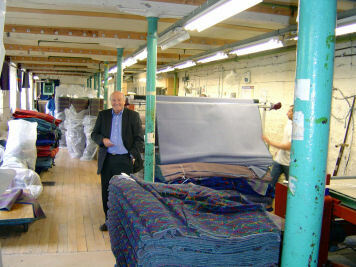 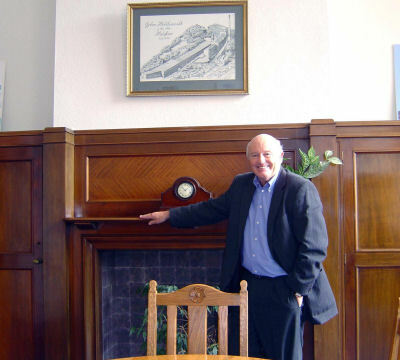 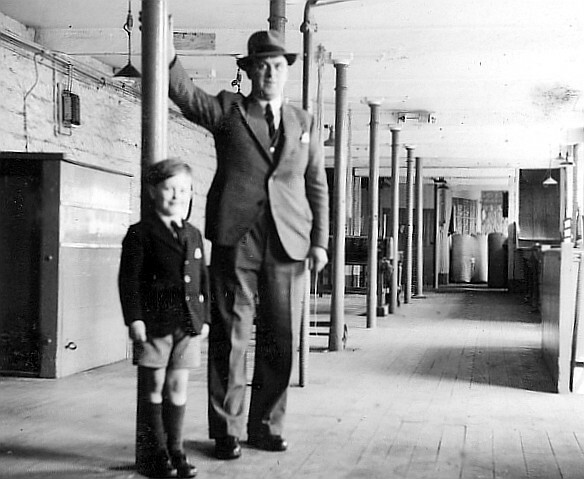 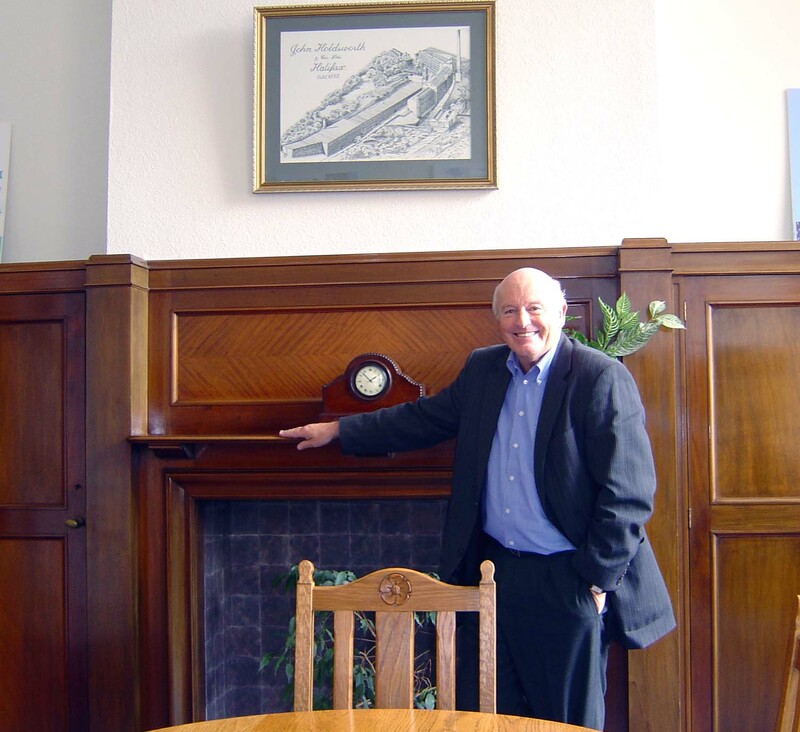 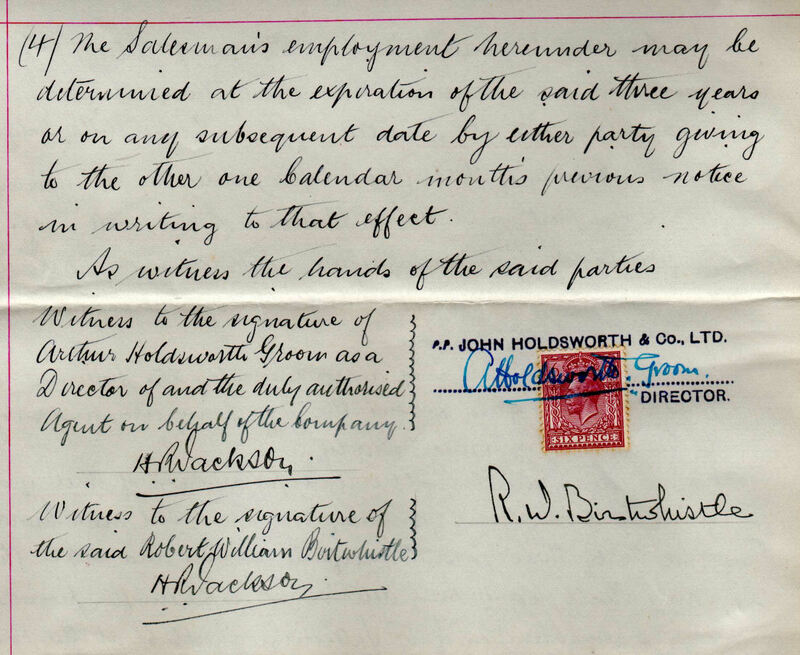 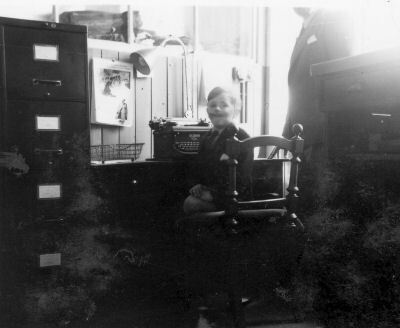 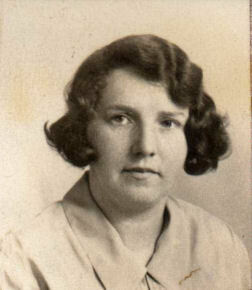 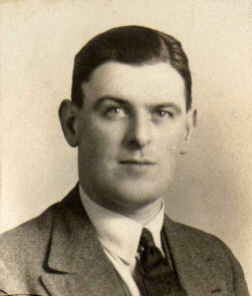 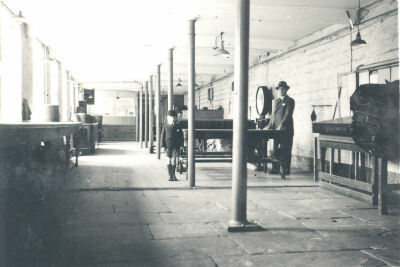 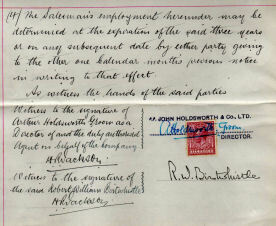 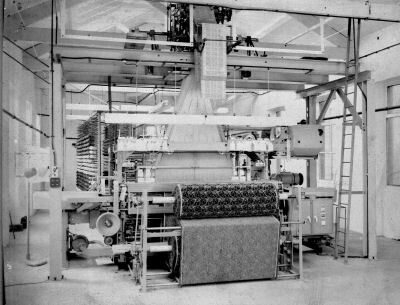 Robert joined John Holdsworth & Co Ltd in 1924 and his career progressed through being a Sales representative in 1927, eventually rising to the position of Sales Manager from 1937 to 1951, and he was responsible for buying the German looms in the 30's in addition to his duties as Sales Manager, hence his many visits to Nazi Germany between 1932 and 1938. 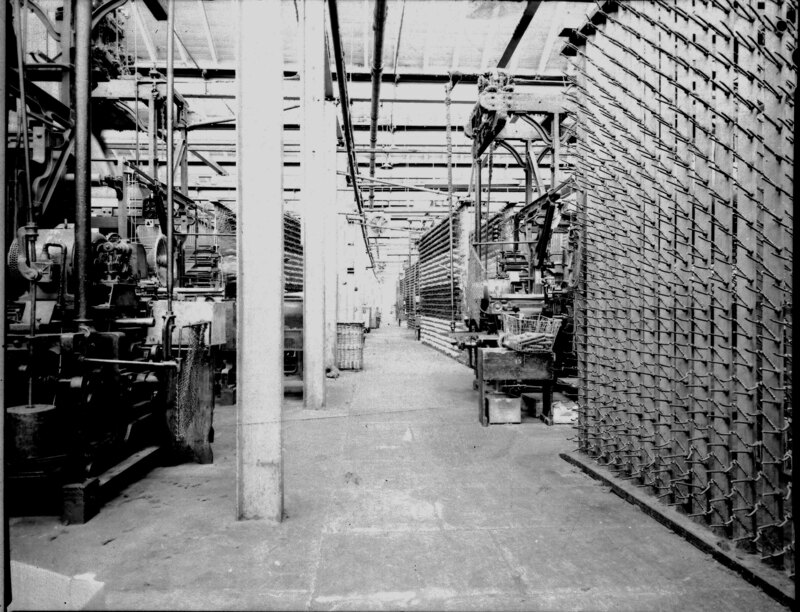 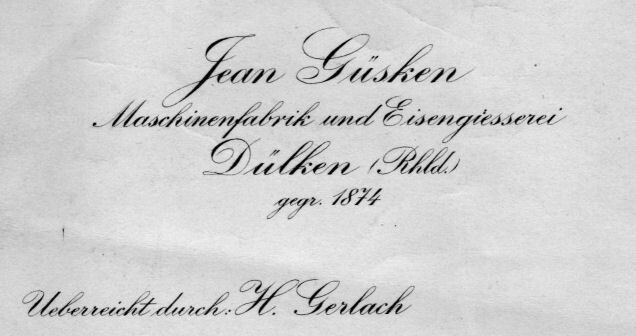 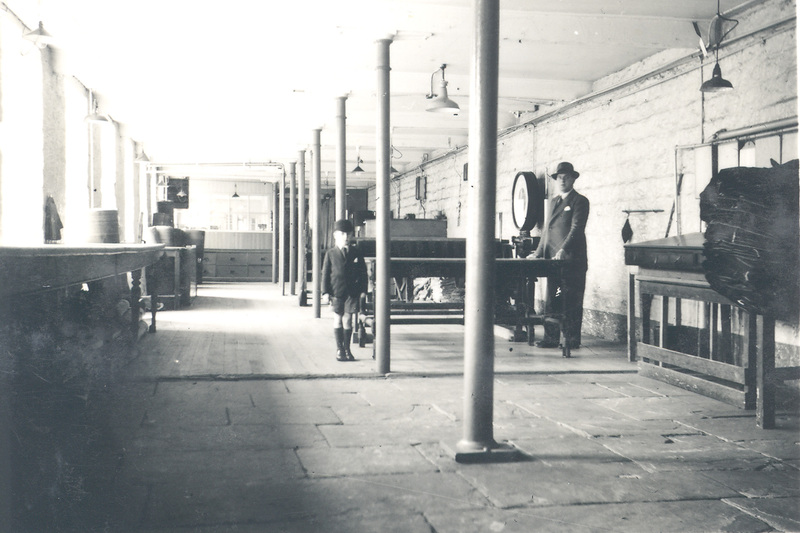 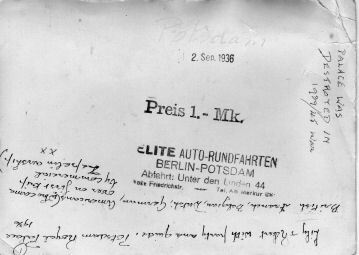 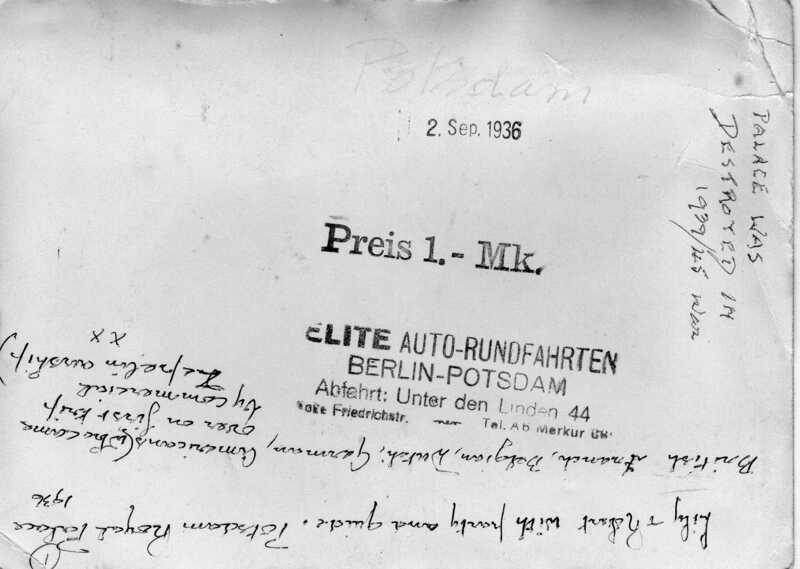 He wrote lengthy reports on the factories he visited, noting how production areas changed between each visit. 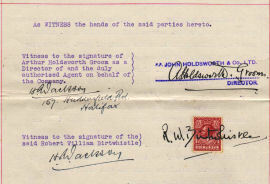 It was obvious to Robert that areas were being set aside for munitions and weapons production and these reports were sent to the Defence Ministry in London. 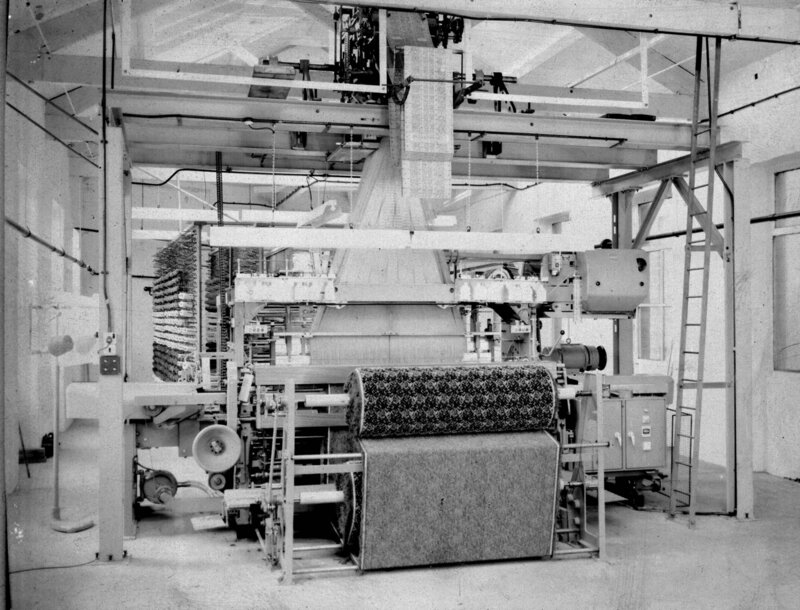 In 1936 he was responsible for landing the contract with Cunard to supply moquette for the Queen Mary liner and represented John Holdsworth & Co Ltd at the official launch ceremony in Southampton. 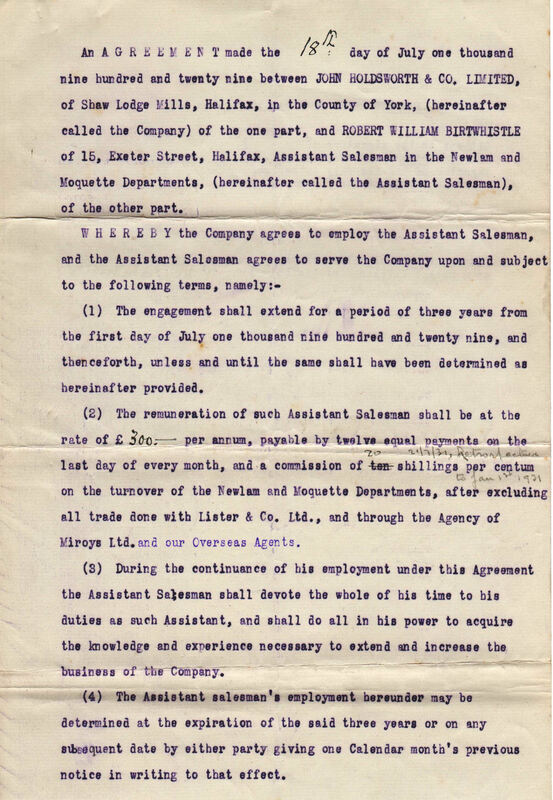 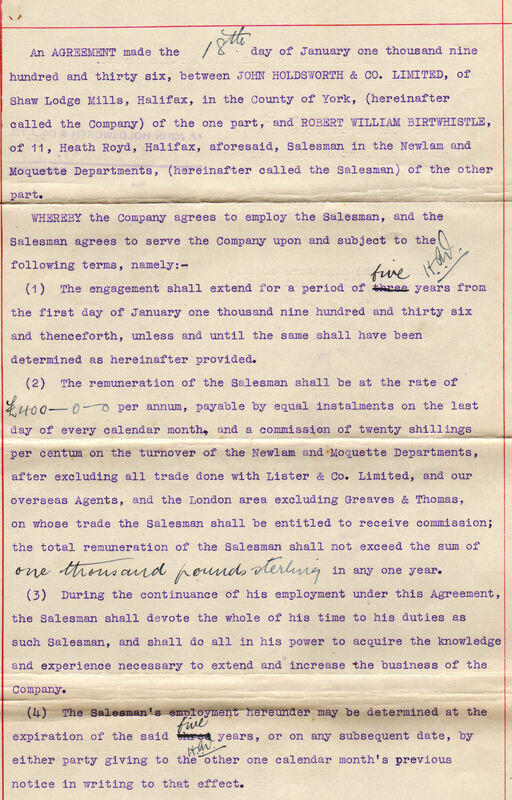 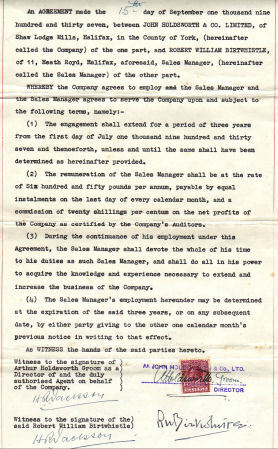 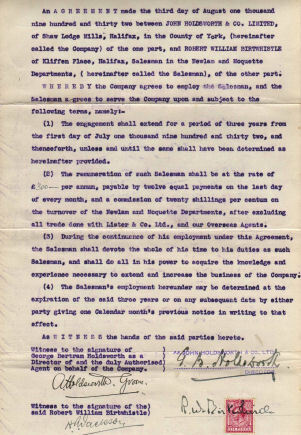 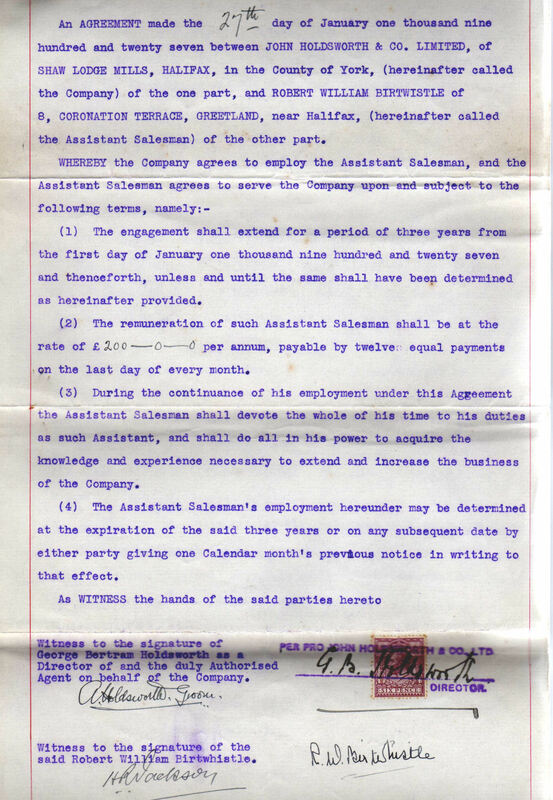 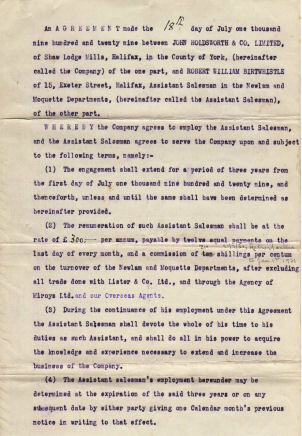 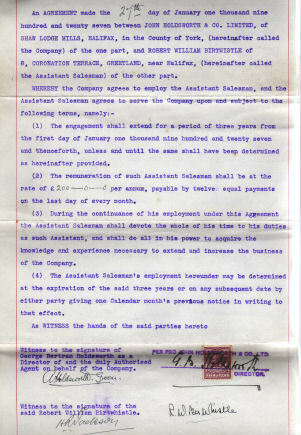 According to Robert's agreement made with the company on 27 January 1927, his position at that time was "Assistant Salesman" with an annual remuneration of 200 pounds sterling. 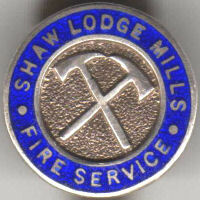 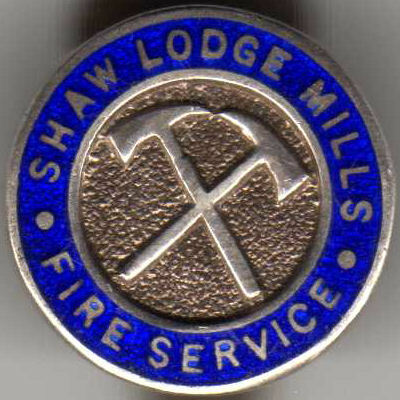 By 1937, then in the position of sales manager, this figure had risen to 650 plus a one percent commission of the company's net profit. 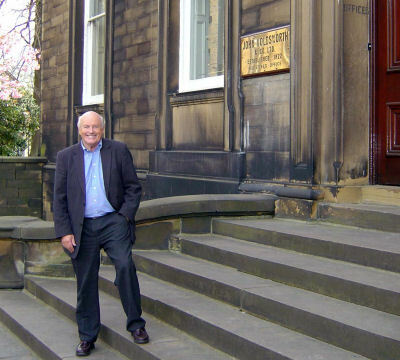 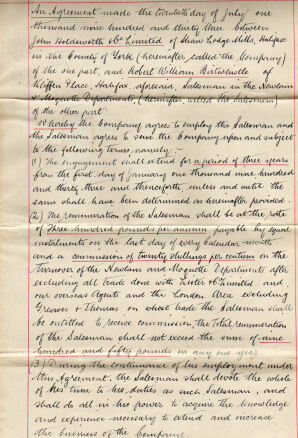 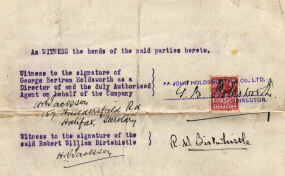 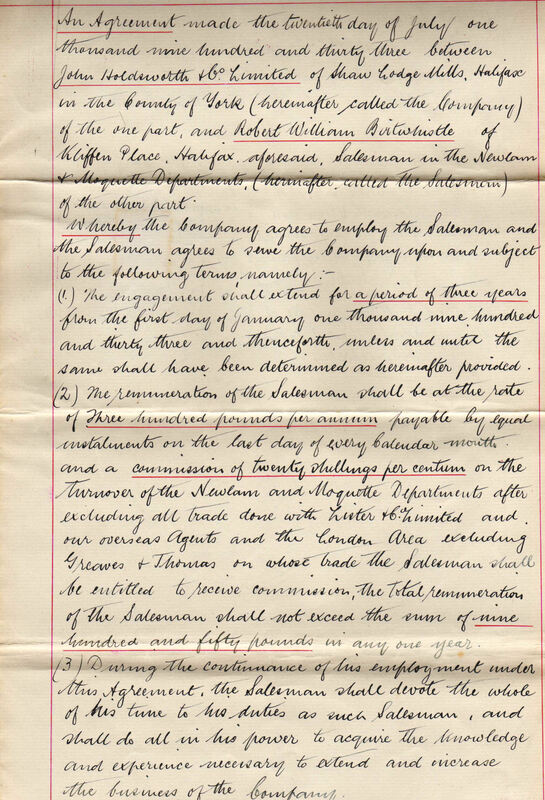 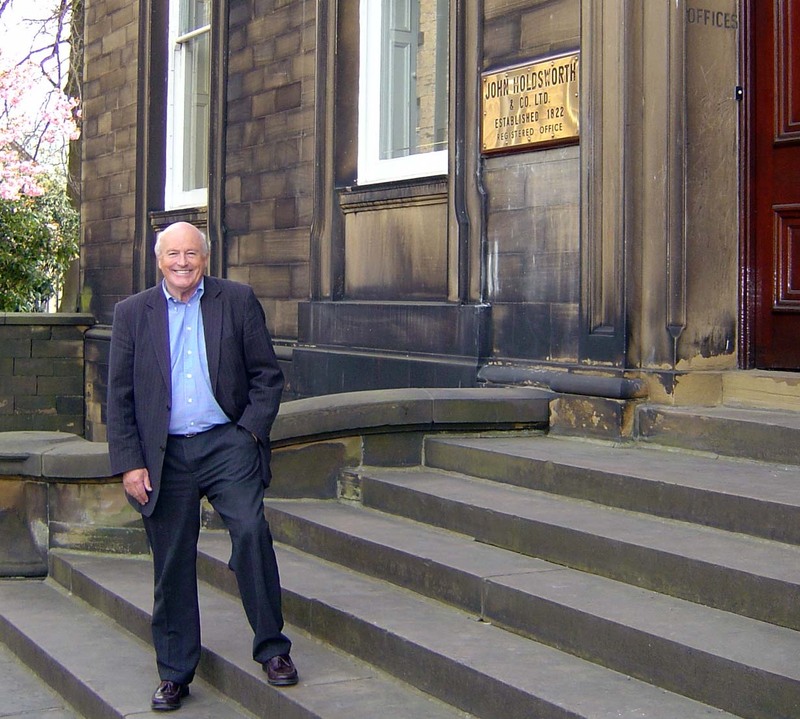 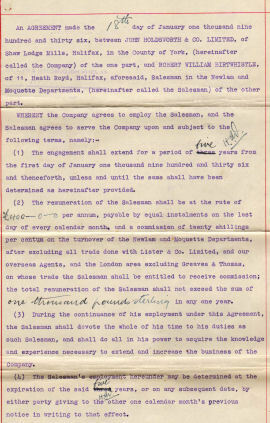 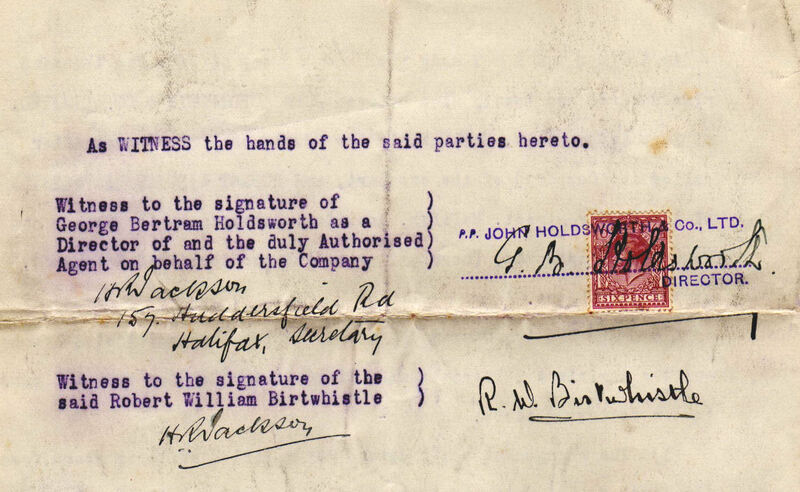 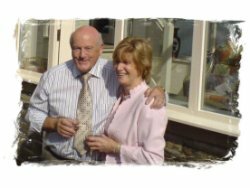 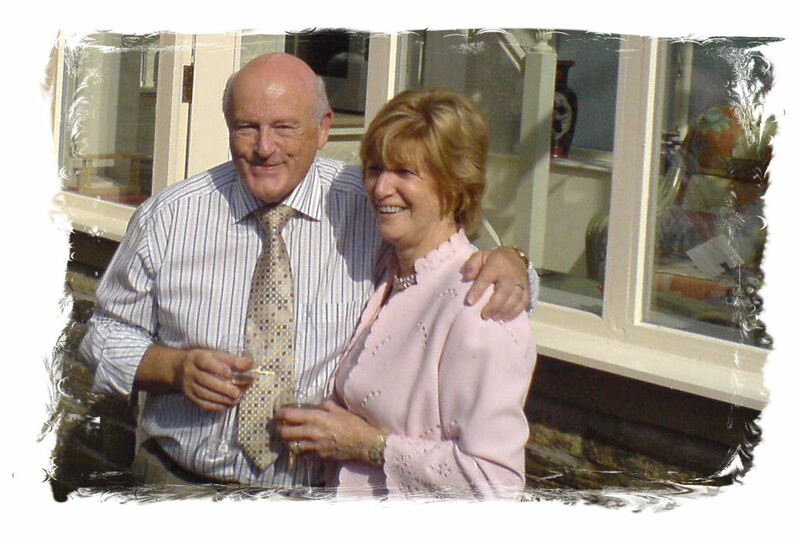 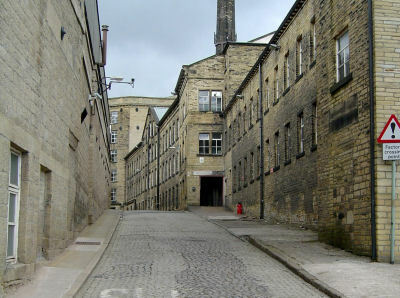 Below, are a number of documents and artefacts that have been preserved by Robert's son John Birtwhistle, who is still resident with his wife Olan, close to the business in Halifax. 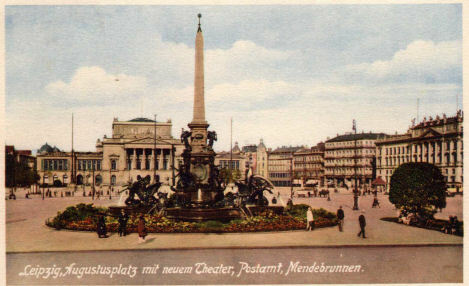 square (right to left) when a Nazi band playing in front of the theatre struck up with the Natzi National Anthem. 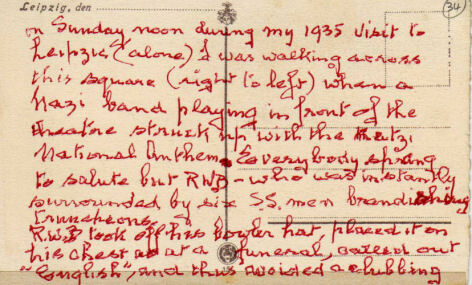 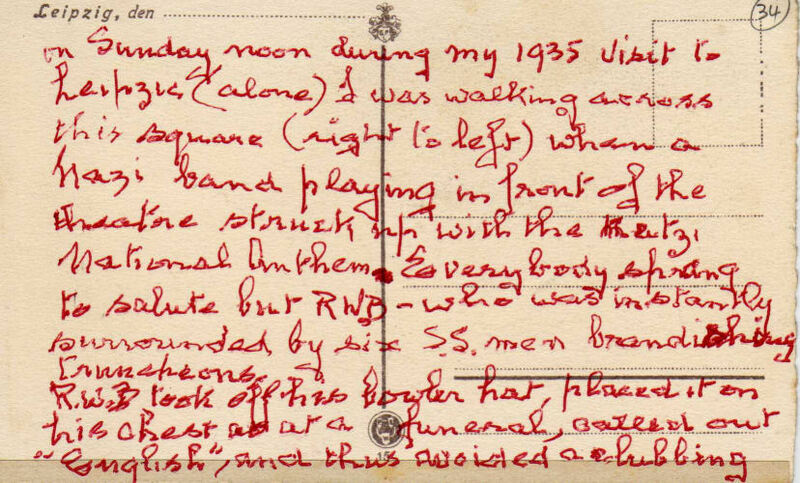 Everybody sprang to salute but RWB - who was instantly surrounded by six S.S. men brandishing truncheons. 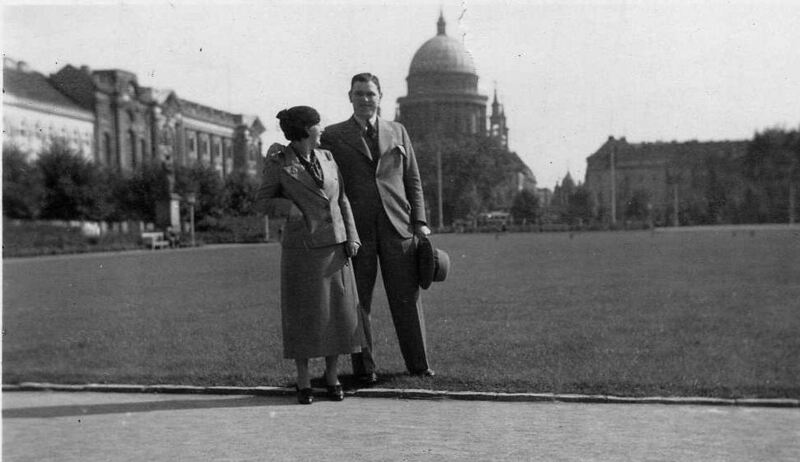 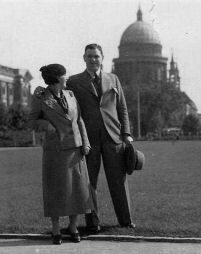 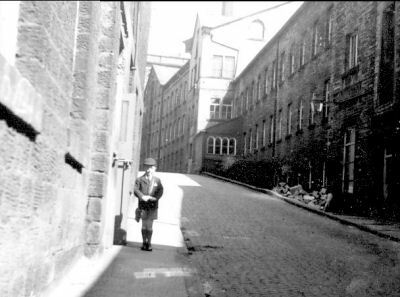 RWB took off his bowler hat, placed it on his chest as at a funeral, balled out 'English', and thus avoided a clubbing." 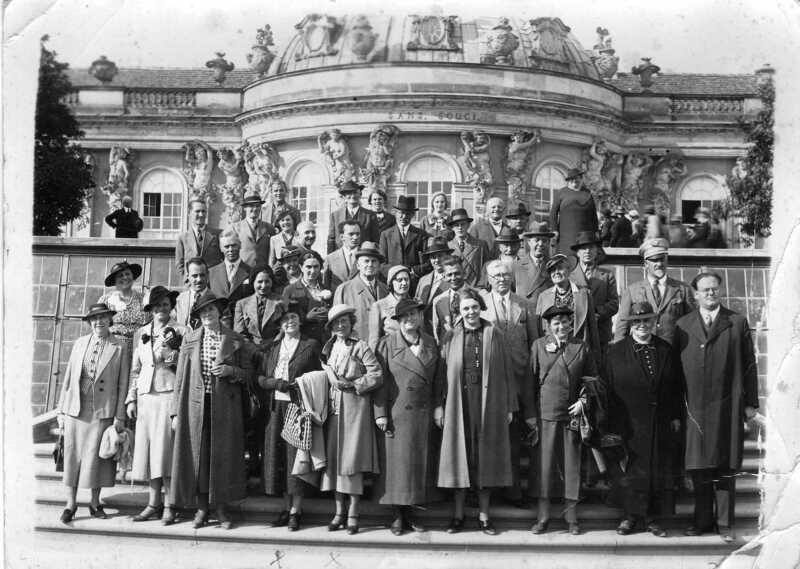 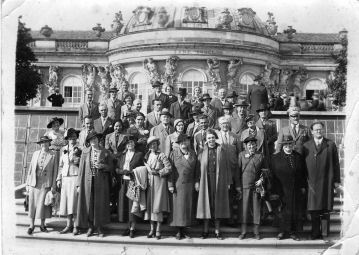 British, French, Belgian, Dutch, German, Americans (who came over on the first trip by commercial Zepelin airship).